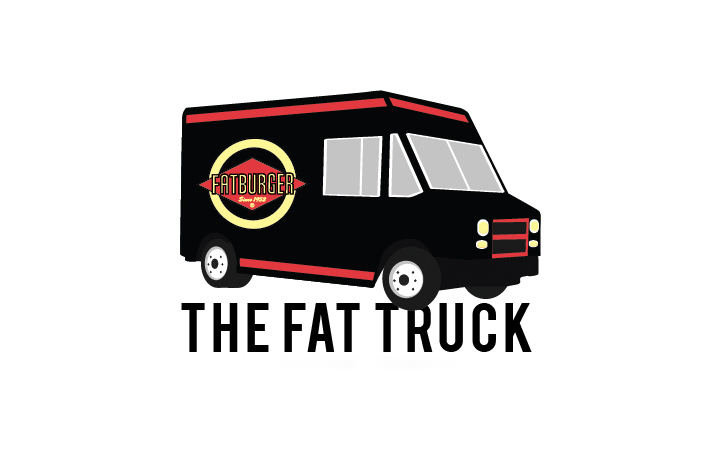 Enjoy Fatburger 12PM - 3PM next door! Lets face it... We'll be hungry. *Purchase a Gio Cartridge and receive a custom engraved G-Pen Battery for only $0.01. The Pottery was founded on principles of minimalism and contemporary experiences. We keep our focus and attention on the products while selling cannabis just like coffee or wine. Come celebrate with us! Over the course of the day we’ll be featuring various brand demos from some of your favorites! Plenty of special promos to be had all day long! Discover Cannabis. Personalized Just For You. 20% OFF Entire Store ALL DAY, however, this panel discussion is RSVP only and at 7pm - 9pm. If you love paying attention to this fast-growing and changing industry, come by and check out the panel discussion presented by @doublebarrelofficial and hosted by @sherbinskis415 @sherbinskis on Wed., July 18th at our shop! Seating is limited! RSVP to info@gallerypr.com to attend. We look forward to seeing you there! California cannabis businesses and consumers alike are operating in a space that's more heavily regulated than ever before. With billions of dollars on the table, the transition to becoming fully compliant with the ever-changing state regulations is critical, yet it's certainly not without challenges. We have some exciting news. We’re teaming up with the game-changer himself, Mr. Sherbinksi! We've been day 1 supporters of Double Barrel and long-time fans of not only the work that Sherbinski has been doing, but how he goes about it. Mr. Sherbinski is most-definitely a forward-thinker in the cannabis industry and an influencer in the movement to normalization. He preaches positivity and always gives a realistic perspective. He is not only making waves in the USA, but seeking to empower this plant globally. 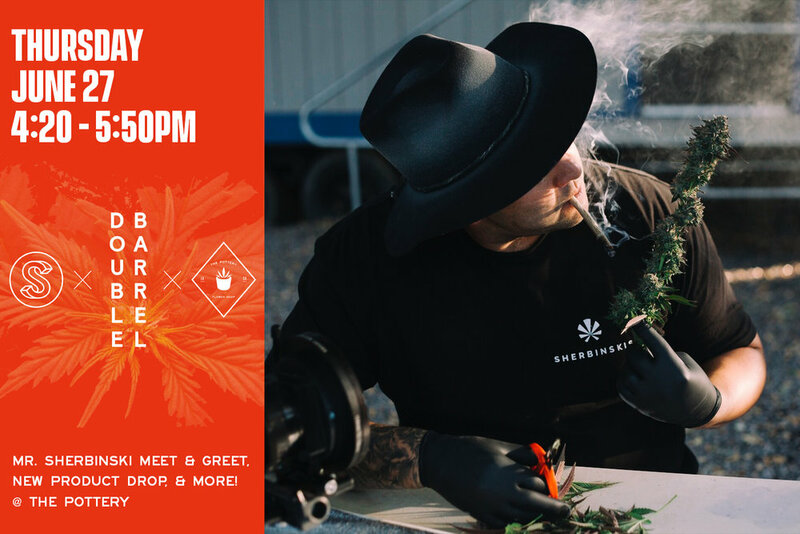 Make sure to come by and not only show some support, but take advantage of some of the custom products and goods that Sherbinski will be bringing with him. What he's bringing along with him will be a secret, but a treat to those who do show up! Btw, we have some amazing deals going on right now up until July 1st. Thursday, June 28th starting at 4:20PM. to bring their unique retail experience to Los Angeles. Higher Standards has joined forces with The Pottery to curate a summer pop-up at their incredible dispensary located at 5042 Venice Blvd in Los Angeles. Guided by a shared vision for elevating the shopping experience and catering to true connoisseurs, The Pottery X Higher Standards pop-up shop will allow customers to discover the most sought after smoking accessories and high-end gift items, alongside The Pottery’s earth-grown goods. Higher Standards is changing the face of retail and branding in the industry. It was created to provide aficionados with the tools they need for the most elevated smoking experience, from premium care and maintenance products that ensure the best flavor from your material, to exclusive and specialty accessories. The Higher Standards flagship store is located in New York City’s famed Chelsea Market and is a first-of-its-kind concept shop - a contemporary take on a luxury smoke shop offering a carefully curated product selection including its own branded line. In honor of Memorial Day, a day of remembering the men and women who died while serving, we are hosting a big discount on all products. This is our way of making this day more special and meaningful. Not only is this The Pottery's first 420 ever, but this is also California's first LEGAL 420! 4. The Pottery is holding Raffle for a 65" TV... Epic. ALSO: We'll have industry leading Vendors to share the day with us starting at 1PM! Tokr will also be joining us for the day promoting their new and game-changing app! Official brand day for The Pottery. Be prepared for exclusive specials and promotions coming out for this! If you are interested in joining our team and have experience/product knowledge, we want to meet you! Uniform will be a Pottery white or black t-shirt, jeans, and black chucks. We’re opening our doors March 3rd. We hosted open interviews on February 20th at the Pottery however we would still love to hear from you! Some positions available include Managers, Wellness Counselors, Receptionists, & Greeters! Also please feel free to submit your resume and a photo to jobs@thepottery.la. Hope to hear from you all soon.